The perfect gift for shoppers in Cardiff. Whether it’s a wedding, a birthday or a corporate event, choosing the perfect gift has never been easier. Just visit the information desk on Upper Level Grand Arcade near Starbucks and Debenhams to purchase a gift card with the value of your choice, from £5 to £500. The gift cards are accepted at over 150 stores in the centre, giving the holder the freedom to choose something really special. You can keep track of the balance by visiting Get My Balance or visiting the customer service desk at St David's. St David's gift cards provide much more flexibility and choice than standard vouchers, as they can be spent at any retailer within St David's* and may be spent many times at many different retailers until the amount loaded onto the card has been exhausted. They also provide better value than gift vouchers, as you will only be charged by the retailer for the exact amount of the transaction. 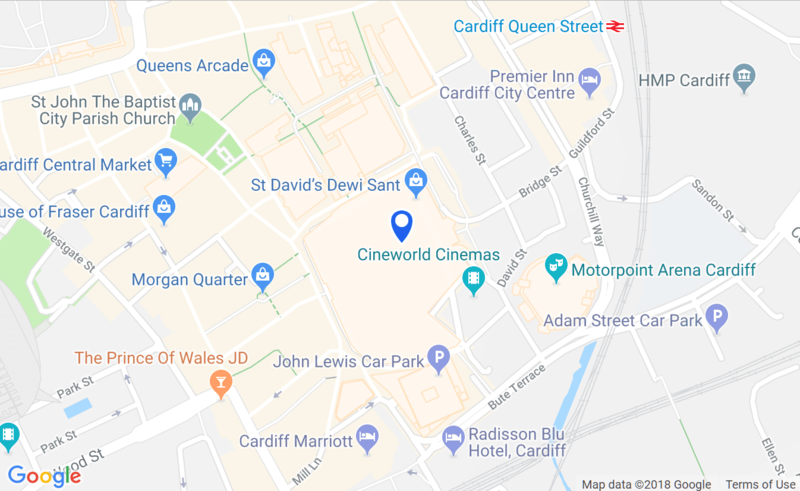 For more information or to purchase a St David's gift card, please visit our customer information desk, located outside Debenhams, or purchase online here! There is no charge for purchasing a gift card. The gift card expires at 12 months from date of purchase, for full terms and conditions please see Get My Balance. * For a list of stores that do not currently accept the St David's gift card, please see here.